Do you wake up every morning and dread picking out your clothes for work? “Too short”. “This is boring”. “Too tight”. The list could go on and on of the narrative we run through our heads as we stand back and stare at our closets. If you’re like me, a lot of times, I just grab what seems acceptable because I’m running late, and not much thought goes into my outfit. This kind of mundane and frustrating daily routine can really take all the fun out of fashion for work. So, how do you bring your personal style to work in a professional way? This is the first in a series of posts dedicated to style in the workplace. I’ll be sharing a few tips and ideas of how you can wear trends and your own personal style to work every day but still looking work appropriate. Animal prints and plaid were very on trend this fall (and still are), so I combined both prints but kept it classic with a blazer. 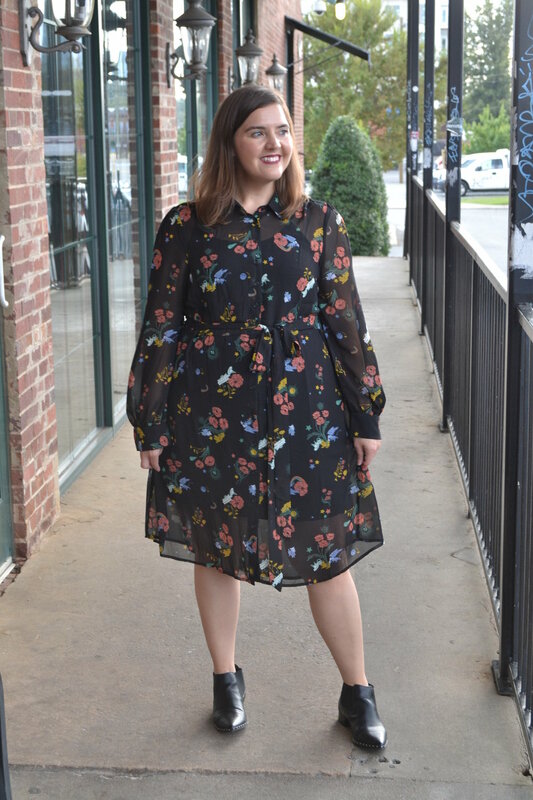 This ModCloth dress is inspired by the Wizard of Oz and has cool prints of witch hats, flying monkeys, poppies, Toto, and rainbows. Because the dress is a classic shirt dress, it’s still perfect for work even with the out-there print. The Silhouette – You can have funky patterns or designs with your outfit and make it work with a classic silhouette. A sheath dress, pencil skirt, blazer or a-line dress can all be worn in trendy ways because they create a classic silhouette for work. 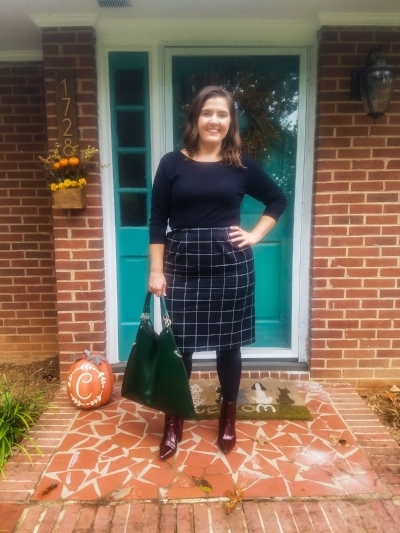 Classic items – If you have a fun dress or shirt that you’d love to wear to work but just not sure if it’s work appropriate, pair it with a classic workwear item. Take that fun, flirty dress that might not look professional by itself and pair it with a classic blazer or cardigan. Have a super trendy blazer or blouse that you’re not sure about? Wear it with a solid, simple pencil skirt to keep at least one item classic with your look. Making sure you keep at least one thing about your outfit classic helps to incorporate the trend but maintain a professional look. Flamingo prints were huge this past summer, and to incorporate the trend for work, I paired this cute top with a classic pencil skirt and cardigan.